In my head, the last update I posted was at 33 weeks, but it was a whopping 5 weeks ago! Well the major change is that my stomach has expanded… significantly! Well I’ve finished up work, which is great. I finished at 34 weeks and I think it was just in time because I could feel my body telling me to ease up. Honestly – I don’t know how women in the US and other places work right up until their due date. Hat’s off to you ladies! 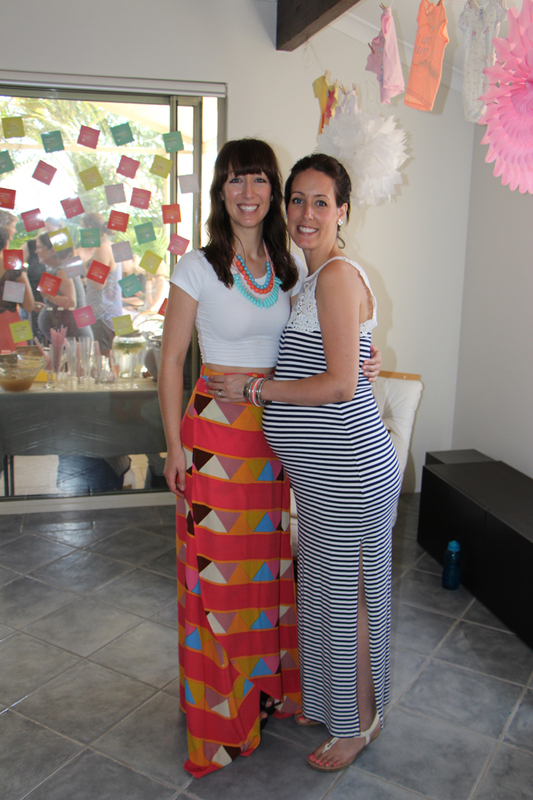 I had my wonderful baby shower, which was organised by my cousin and sister. I think they also had my mum running around, and then my family all made food for the event too, so I was very lucky. It was 100% vegan which was lovely. I think it deserves an entirely separate post, so stay tuned next week for that. The kitchen is still in renovations…. hrmmm…. not impressed. The company who we are getting the benchtops from came to install them and discovered they’d measured wrong. Oh well, if that is the biggest worry in my life, I think I’m doing pretty well! One of the reasons I knew my body was telling me I’d had enough of work, was because after Christmas, every day I’d come home from work with fankles (fat ankles). Uugghhh. I tried everything, but really, work just wasn’t doing it for me. Now that I’m on mat leave though, I haven’t had any swelling at all. Which is not to say though that my feet aren’t boiling hot! I call them furnace feet. So bizarre. Of course, the rest of my body is also a mini-oven, but the heat that comes from my feet… oh boy. Rosco thinks it is funny becasue usually he is the one who likes the air conditioning on and I don’t feel the heat so much. Perth at the moment is about 37°C every day (about 99°F). I’m not sleeping that much – probably about 4-5 hours each night, although I’m not tired at all, so I’m fine with it. At my 28 week check up I submitted a blood test which came back that I needed to boost my iron a little bit. I’d been really slack with some of my supplements (I’m still slack with some… oops) and I was only taking a liquid iron that had the equivalent of 10mg, so I’ve started taking Fefol which has the equivalent of 86mg. The other supplments I take are my prenatal (usually either Bioceuticals or Herbs of Gold), a sea-derived calcium, vitamin D3 (vegan – I was taking Herbs of Gold, but they’ve discontinued it, so now I’m on another supplement that is algae-derived I think), a probiotic (the one thing that pregnant or not pregnant I always take!). I also have, but haven’t been taking unless I think I need it are magnesium oil spray (magnesium is much better absorbed topically – this is good for anyone experiencing round ligament pain, leg cramps or restless legs) and zinc. As I’m vegan, my naturopath also recommended choline and creatine (just in tiny amounts), but I’ll admit I’ve been more than a little slack at taking them. Well, that’s me for the week. Next week I graduate to weekly obstetrician appointments. Can’t wait! I can’t believe our little girl will be here soon. You look amazing! Best of luck on your upcoming journey.